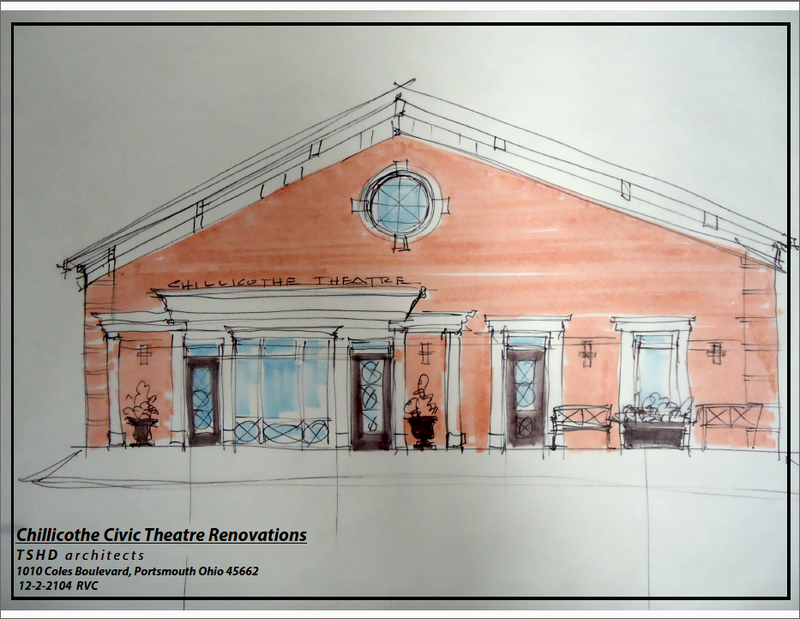 After many years of a vagabond existence – presenting theatre on a variety of stages including those of churches, schools and of course, The Majestic Theatre, CCT is excited to announce the creation of a new cultural center in downtown Chillicothe. 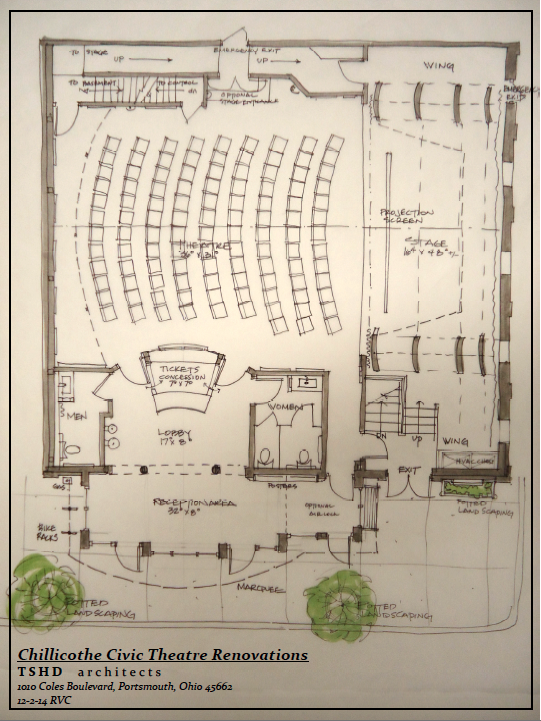 The new facility will include an intimate, 100-seat theatre unlike any found in the area, workshop and rehearsal space and administrative offices for the organization. 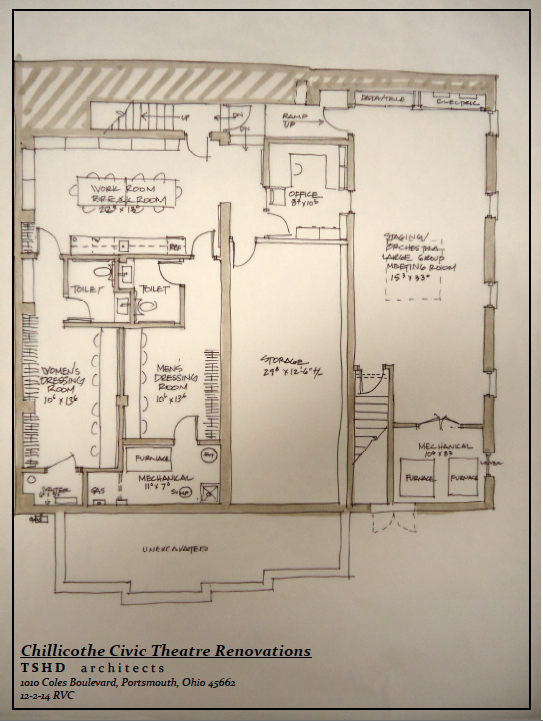 Since purchasing the property located at 83 S. Walnut Street in December 2013, CCT has added a new roof and made other repairs to ready the space for its transformation into a vibrant cultural center for the citizens of Ross County. 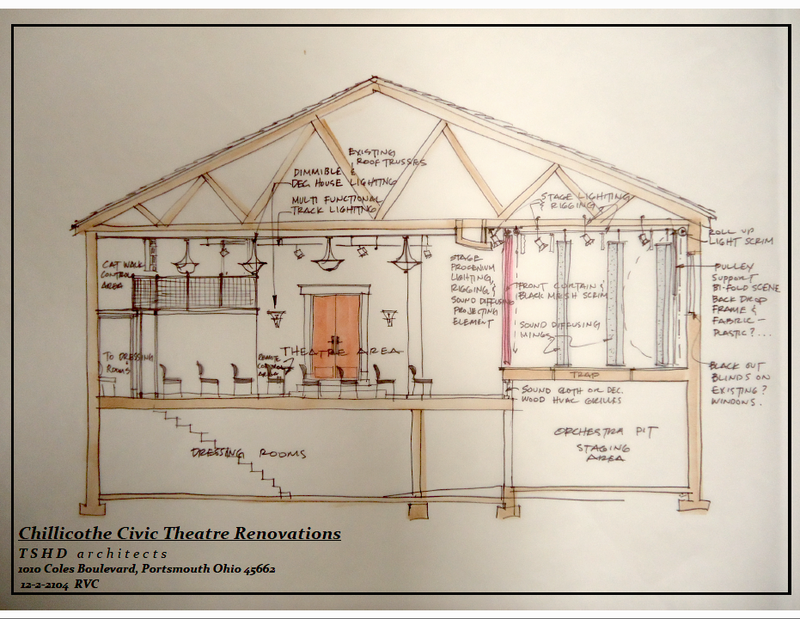 Through the creation of a new, modern facility that pays homage to the historical significance of the area while providing a modern theatrical venue, CCT will seek to ensure the citizens of Ross County continued access to live theater. 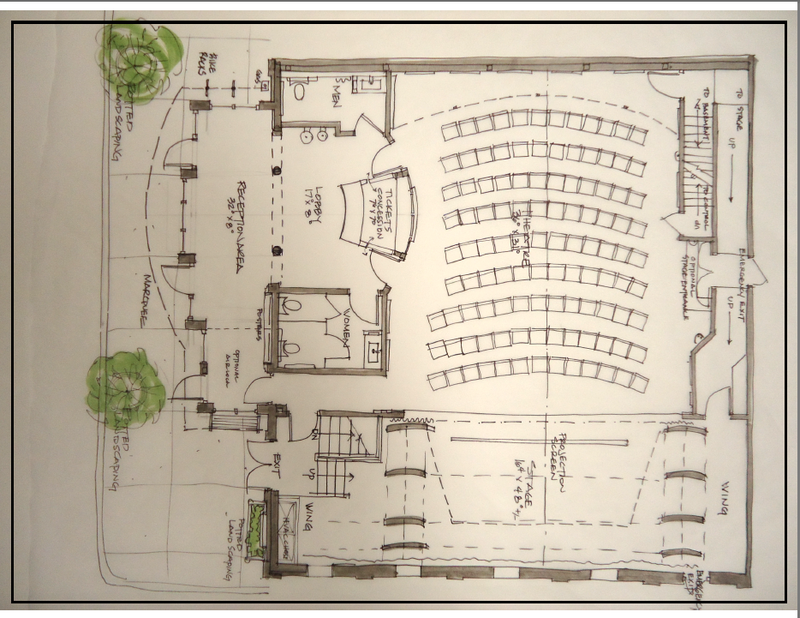 CCT will continue its tradition of a year-round season of plays and musicals in the new space with the new possibility of expanding its season to include a more diverse selection of theatre and support of local playwrights. The new facility will also allow CCT to expand its offering of theatrical education workshops to children, youth and adults. 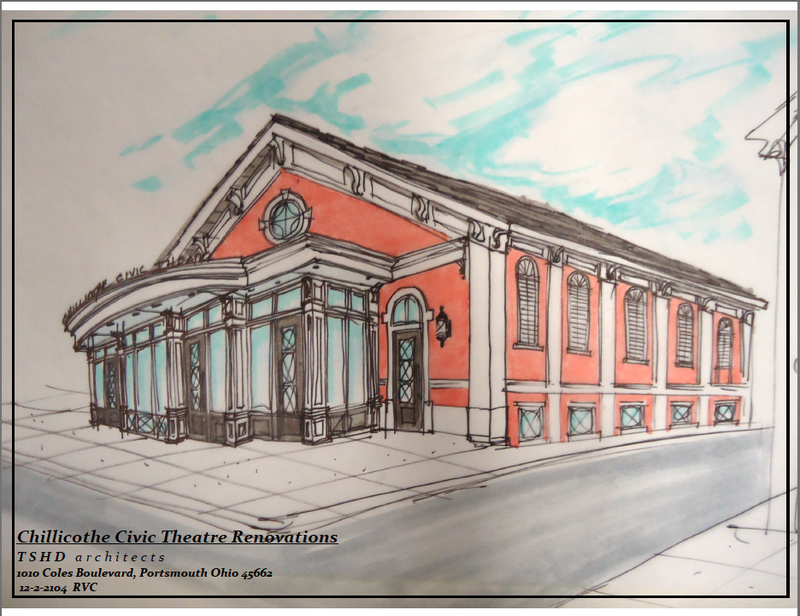 Although the new theatre will be CCT’s home base, CCT will continue to perform larger shows at the historic Majestic Theatre in downtown Chillicothe, as the organization has for many years. 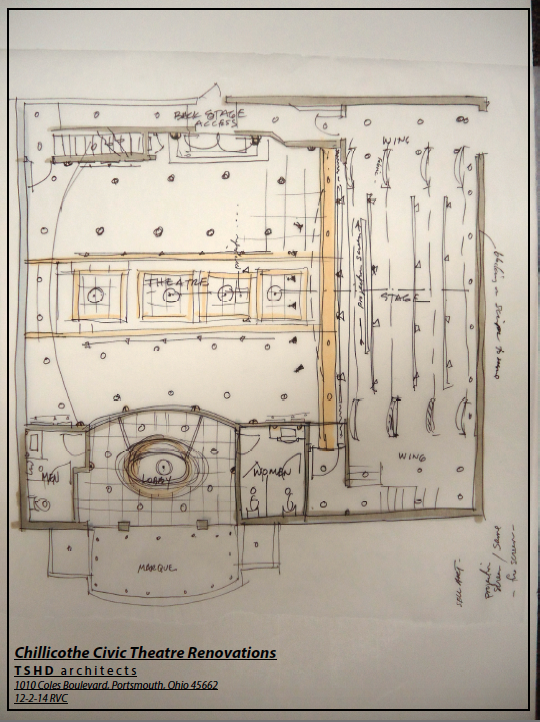 It is our belief that the new theatre will support the expansion of our theatre-going audience to the benefit of both CCT and The Majestic. 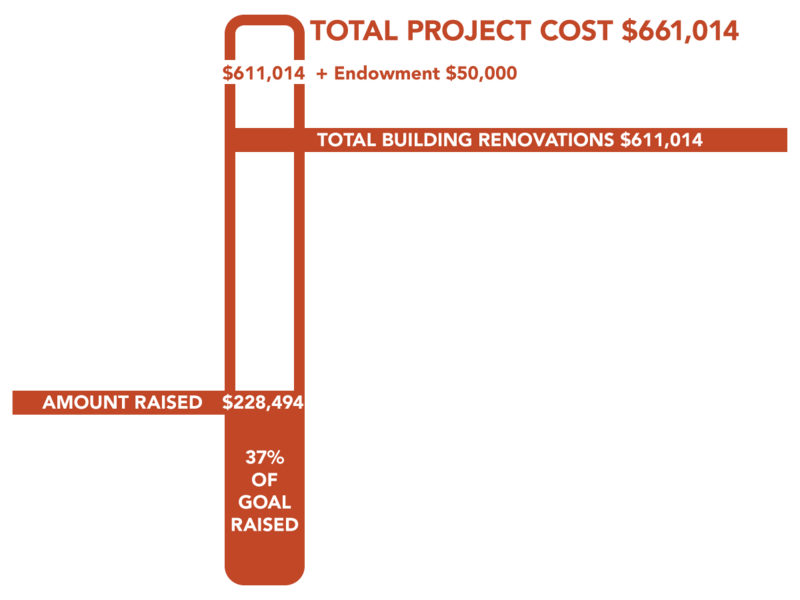 In order to make this dream a reality, CCT must raise a total of $661,014. To date, we have raised a significant portion of these funds, but we need your help. No donation is too small. 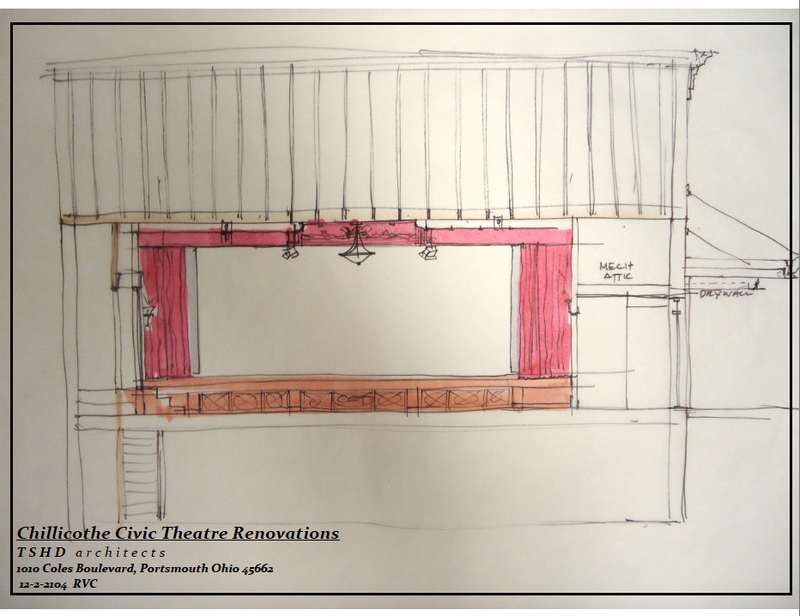 Please help us to ensure the perpetuation of the performing arts in Ross County with a donation to our new theatre!